Botox in Worcester for men and women. Book your free consultation. Botox® Muscle Relaxing Injections Administered at Cosmetic Injectables Worcester. Anti wrinkle injections work by injecting the facial muscles with a purified derivative of Botulinum Toxin. Botox® has become a worldwide household name, it is in fact a brand name for Botulinum Toxin. There are three brands of Botulinum Toxin Type A licensed for use in the UK – Botox®, Azzalure® and Bocouture®. Areas treated include forehead, between the eyes, crows feet around the eyes and upper lip ‘smokers lines’. We also treat excessive sweating (Hyperhidrosis) under the arms. Below you will find some useful information about the procedure and I am here to answer any queries you may have about Botox in Worcester. Botox® injections are the best known of a group of medications that use various forms of botulinum toxin, which is injected into specific muscles in the face to temporarily relax them, softening facial expressions and helping to reverse the signs of ageing. 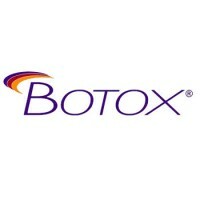 Before injecting Botox® any make-up will be removed and the skin disinfected. The injections should be painless, but a local anaesthetic cream can be used prior to treatment. Expect to resume your normal daily activities right after the procedure. Take care, though, not to rub or massage the treated areas. The effect of the injections is always temporary, usually lasting 4 months and sometimes more. Re-treatment will not be performed more than every 3 months. Yes, men can have the same brilliant effect that women have from the use of Botox®. Men often have stronger facial muscles than women though and this may mean that they need slightly more Botox® for the best effect. Your first visit will be for a free consultation to study your face, take time to listen and make recommendations to offer you the best care and results. You will find out about the products available and what results you can realistically expect and the costs involved. A follow up appointment will then be made for you to come back for your tailored treatment. Botox® normally takes an average of 2 to 3 days to start working, although it may take a little longer for the full effects to be seen. The speed of action will depend on the strength of your facial muscles and your individual response to the injection. The Botox® injections are given through a very small fine needle, only a slight, stinging sensation is reported which is very quickly over. Like all medicines, Botox® can cause side effects, although not everybody gets them. Any reactions are generally minimal, temporary, and typically relate to the injection itself. There may be slight discomfort as the needle enters the skin. There is also the possibility of bruising or bleeding at injection sites. Elizabeth will cover this in detail with you on the day and answer any questions you have.